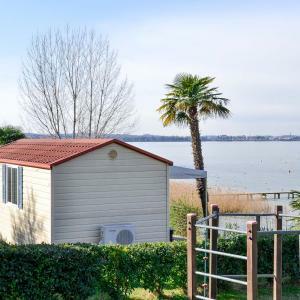 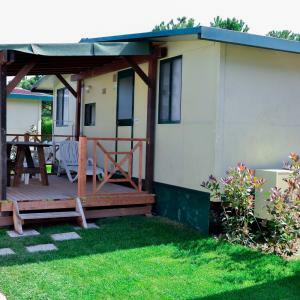 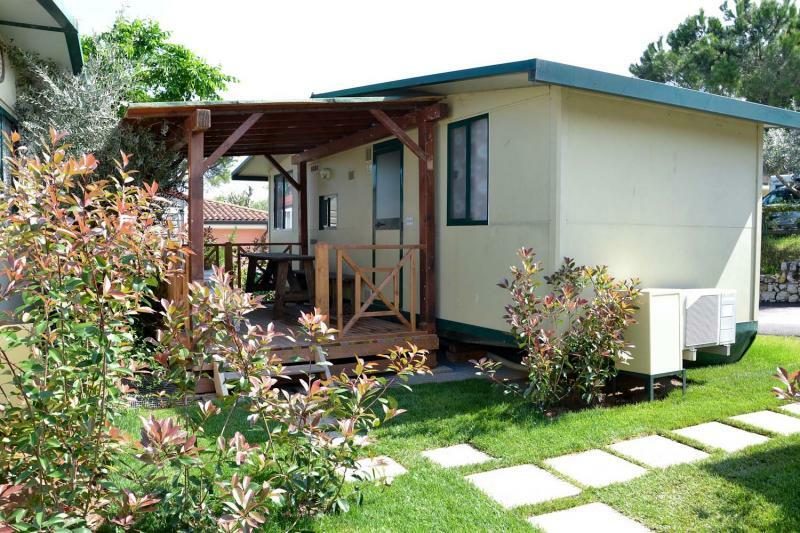 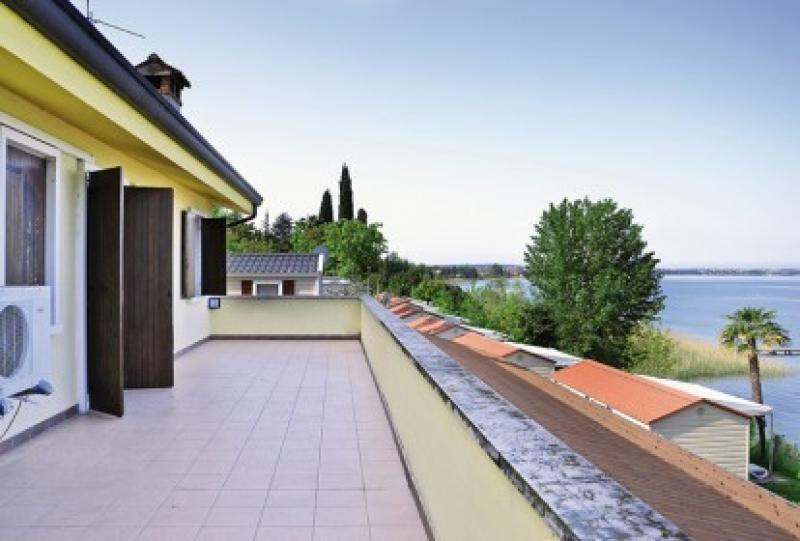 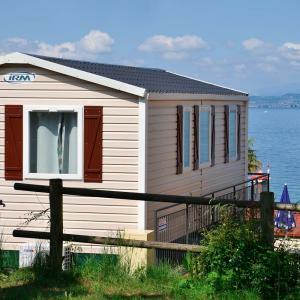 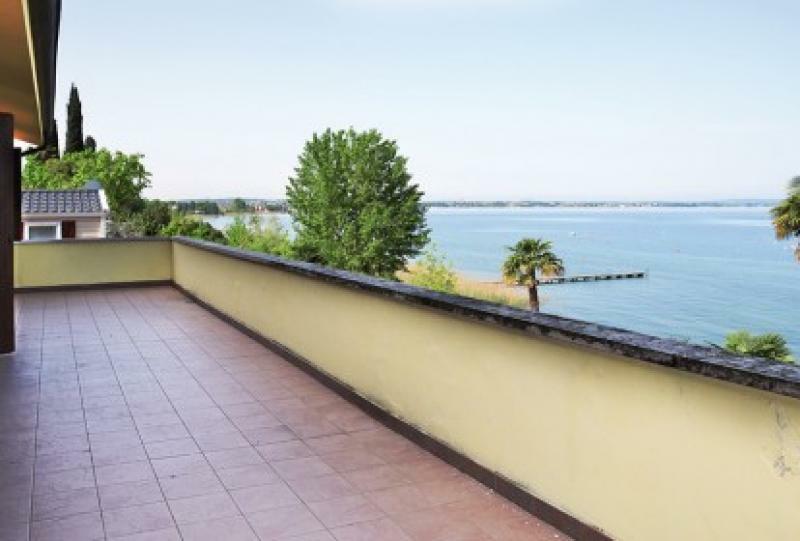 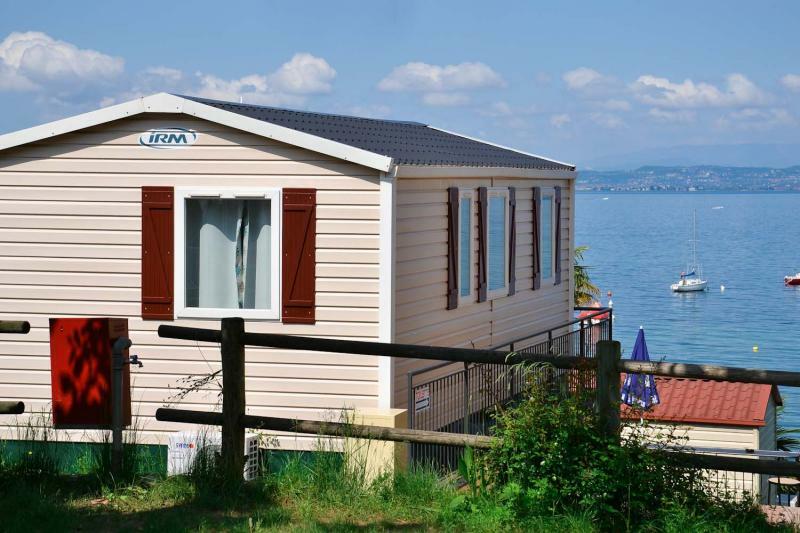 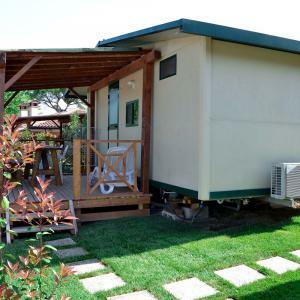 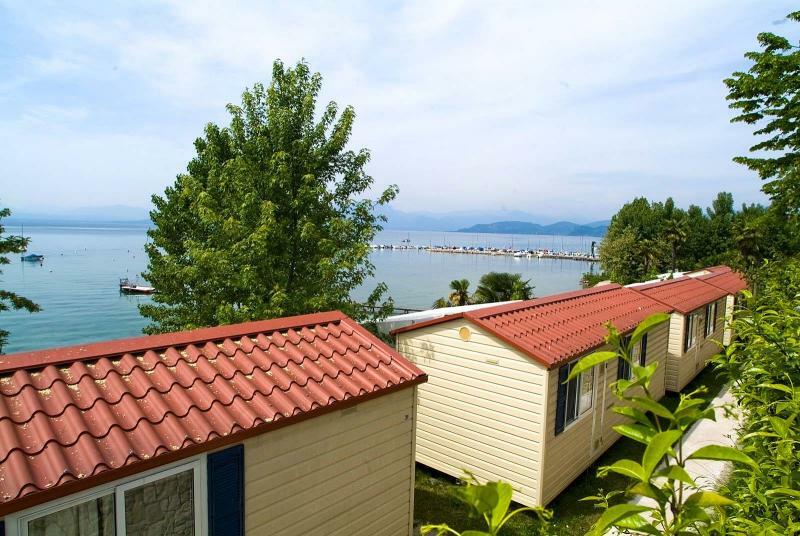 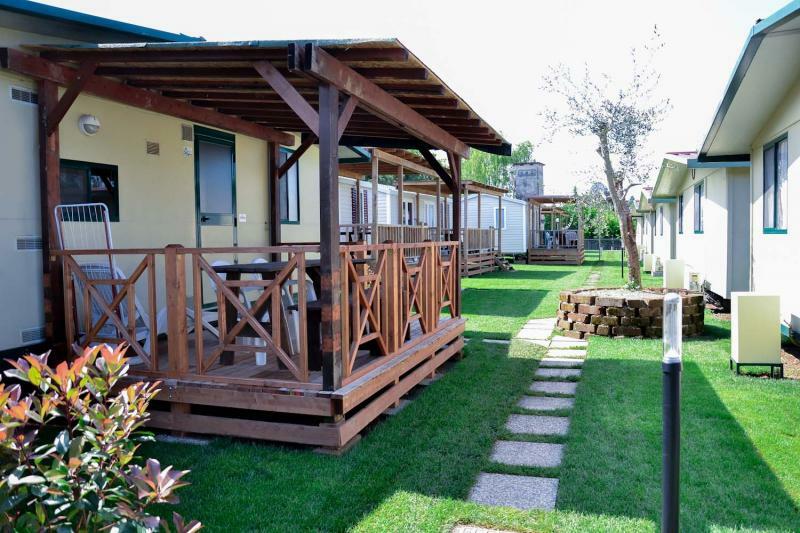 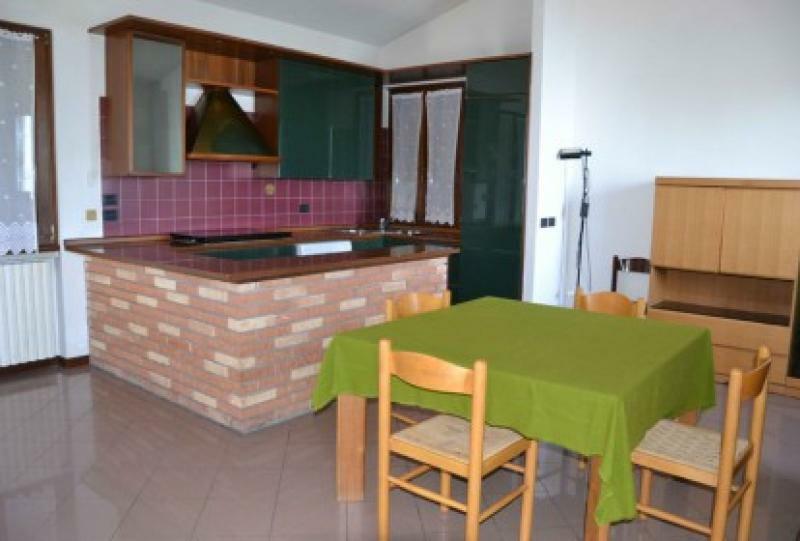 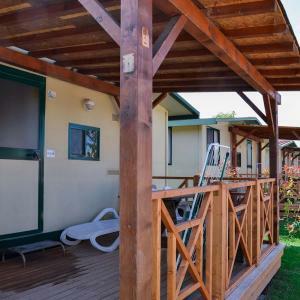 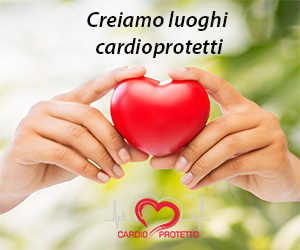 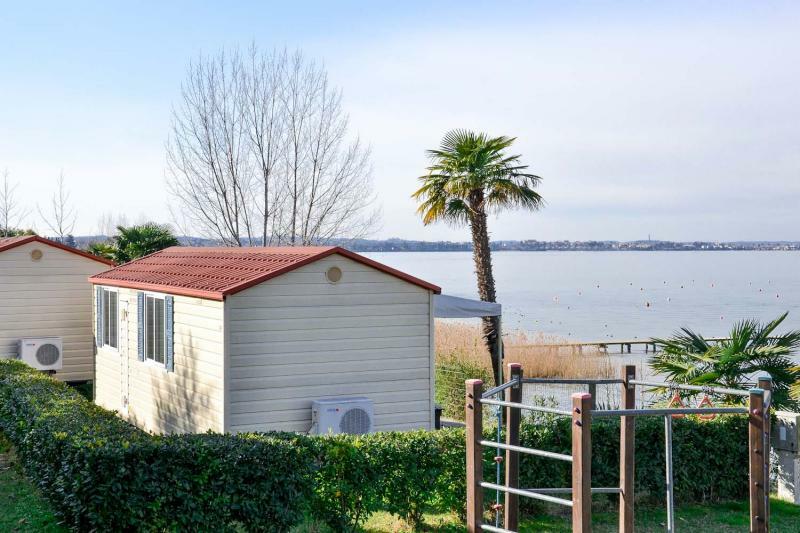 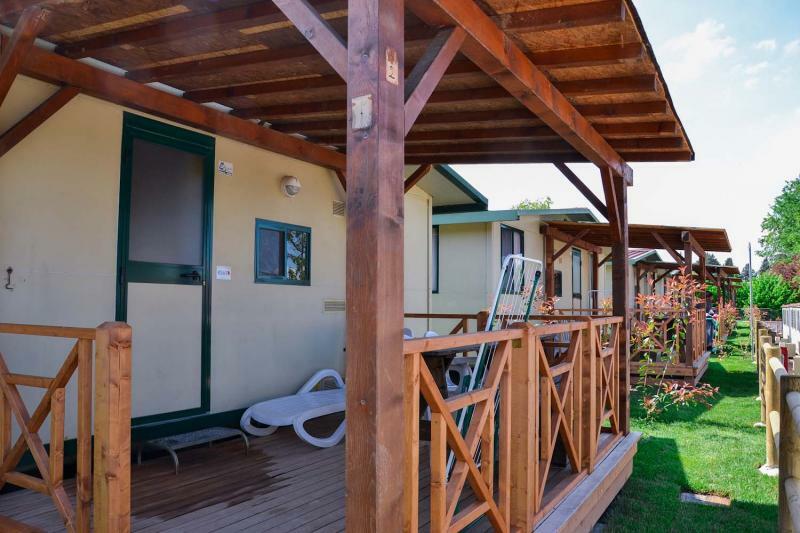 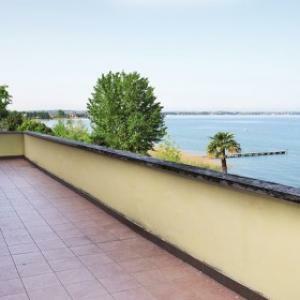 The Camping Le Palme overlooks Lake Garda, in one of the most beautiful and characteristic of the Riviera of Olives, a short distance from Lazise and Peschiera del Garda. 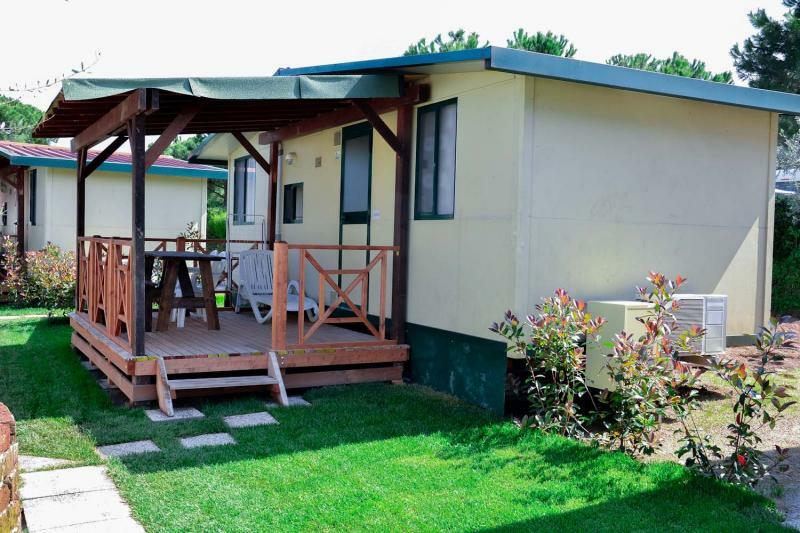 The tranquility and the charming character of the place make the camping Le Palme an ideal place to spend the holidays. 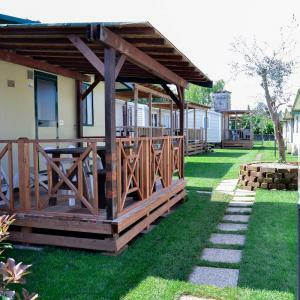 From the campsite are easily accessible tourist destinations such as Gardaland, Movieland, Caneva, Thermal Park Villa of the Cedars and other parks in the area. 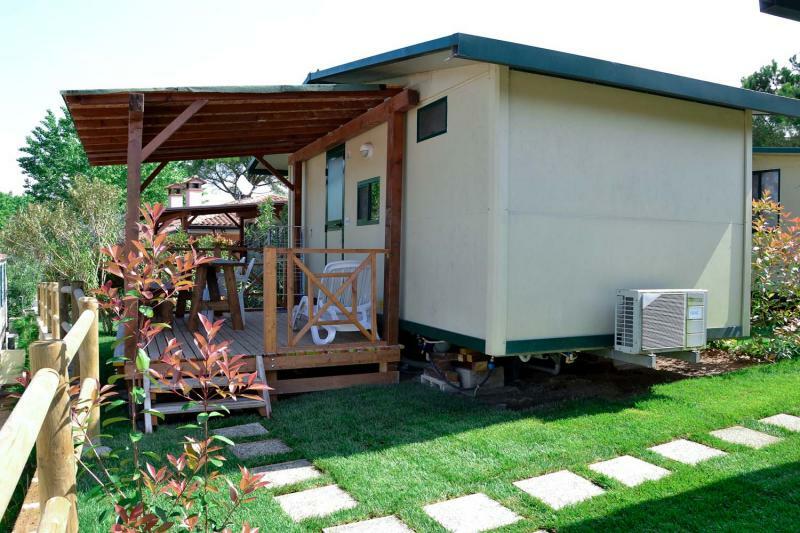 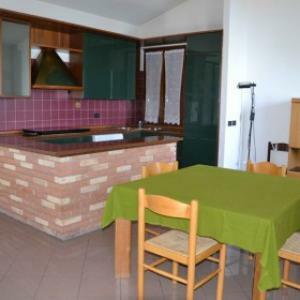 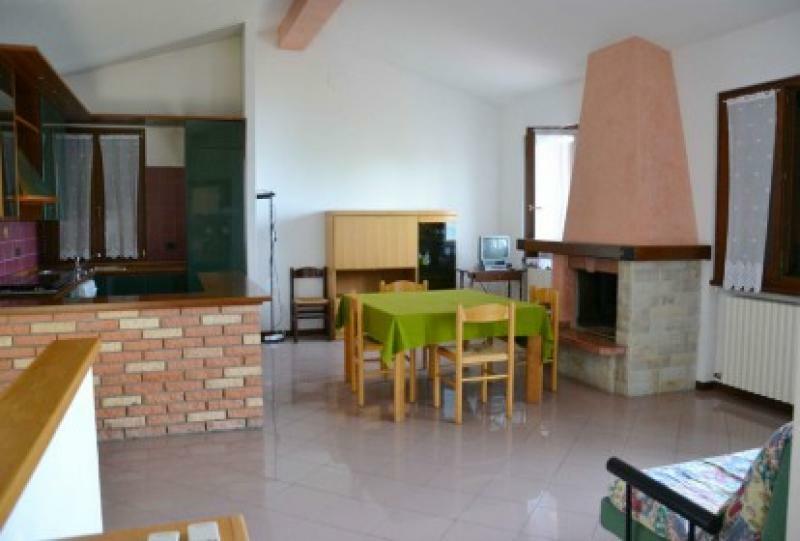 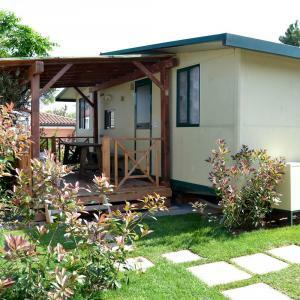 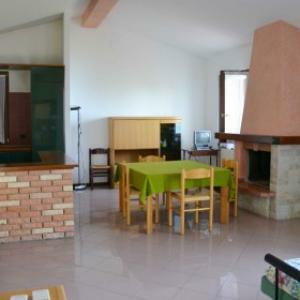 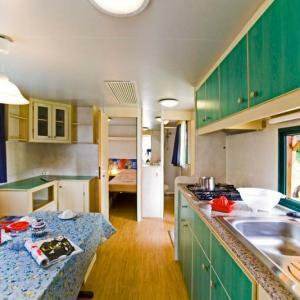 The camp has wooden bungalows with terrace on the top floor, comfortable mobile homes and houses in masonry with garden. 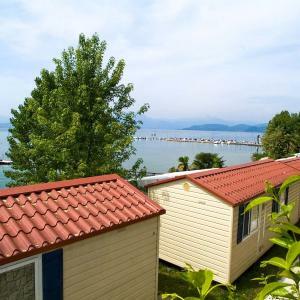 The campsite also has 150 pitches well cared for campers, caravans and tents, equipped with utilities such as water, drainage and electricity. 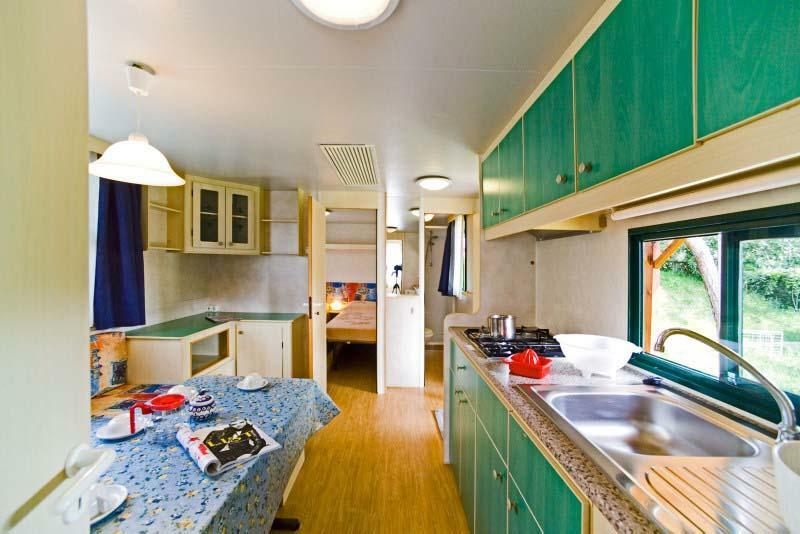 Altezza m. m. 70 s.l.m.